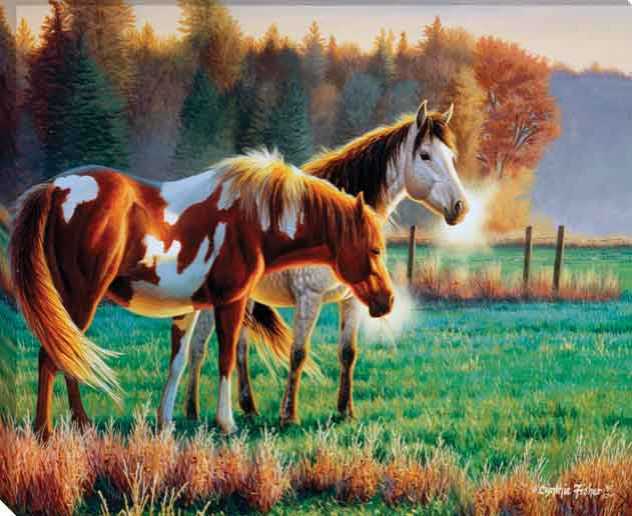 Pasture Buddies by Cynthie Fisher. Horses in a pasture breathing the cold air. This picture is a gallery wrap canvas. We are a wholesale art manufacturer and supplier to the trade only.